The people of Botswana are dedicated to preserving their wonderful wildlife heritage. National Parks and Game Reserves comprise 17 per cent of the land area and wildlife areas comprise a further 22%. Therefore a total of 39% of the total land areas is used for conservation related purposes - a higher percentage than in any other country in Africa. Comparable in size to France or Germany, this is a country of varied eco-systems, ranging from deserts and savannah to lush riverine countryside and swamplands. Botswana's most famous feature is the Okavango Delta, formed by the waters of the Okavango River, which has its source high in the mountains of Angola. The delta fans into the desert, not the sea, forming a vast water wonderland of channels, lakes and lagoons. Access to the Okavango Delta is via the town of Maun or from the North via Kasane. From here you can head for a number of excellent reserves and camps, frequently only reached by light aircraft. One of the best ways of exploring the rivers, streams and swamps that compose the Delta is by "mokoro" or dugout canoe, poled through the reed beds and streams by local experts. Elephant back safaris and horse safaris are another unusual option. About half of the Okavango Delta is made up of the Moremi Game Reserve, which supports a huge population of birds and animals. Further north is the Chobe National Park, a region of semi-desert and savannah, with big cats such as lion, leopard and cheetah as well as elephant, impala, zebra and tessebe. The Savuti Channel bisects Chobe. This channel was in flood for about 30 years, but ran dry in the early '80s. Since 2008, after seismic activity way below the earths surface, plates moved and the river miraculously started flowing again. This has brought amazing changes and new life and animal dynamics into the region. The white, salty deposits of the Makgadikgadi Pans are so extensive that they can be seen from outer space, while grasslands, dotted with baobab and buffalo-thorn trees, create the varied patchwork of the Nxai Pan. Shallow lakes attract flamingos by the thousand, while great herds of gemsbok, springbok, zebra and wildebeest can be observed. The Kalahari desert covers the southern half of the country and contains four national parks. In the south west corner the largest unbroken stretch of sand in the world is found in the Trans-Frontier National Park, previously known as the Gemsbok National Park and Mabuasehube Game Reserve, this is home to the hunter-gatherer San (Bushmen) as well as Tswana pastoralists. The southern part of the park falls within South Africa's borders and is now managed as a single ecological unit with active co-operation of both countries. The Central Kalahari Game Reserve is one of the largest protected areas in Africa. It was made famous in the book "Cry of the Kalahari." The adjacent Khutse Game Reserve, some 220 km from Gabarone, is the most easily accessible of the four parks. East of the Kalahari, bordered by the Shashe and Limpopo Rivers, is the Tuli Block, a region of massive eroded rocks, sand-rivers and woodlands populated by wildlife such as elephant, lion, leopard, cheetah, zebra and antelope. Those with time to spare in the bustling capital, Gaborone should pay a visit to the National Museum and Art Gallery or search for souvenirs in the city's various craft shops. Good curios can also be purchased in the well-preserved village of Mochudi, 50 km from Gaborone, where there is a small museum highlighting the history of the local Bakgatla people. - Horse riding safaris are run from Maun into the Delta and in the Tuli Block. Game Reserve in the Okavango Delta. - Bird-watching is rewarding, with more than 550 different species recorded. - Quad-bike safaris are operated in the dry season over the Makgadikgadi Pan. - Mountain bike safaris are done in the Tuli Block. - Walking and makoro safaris are done in the Okavango Delta. - Self drive and mobile safaris are offered all around the country for the more adventurous. 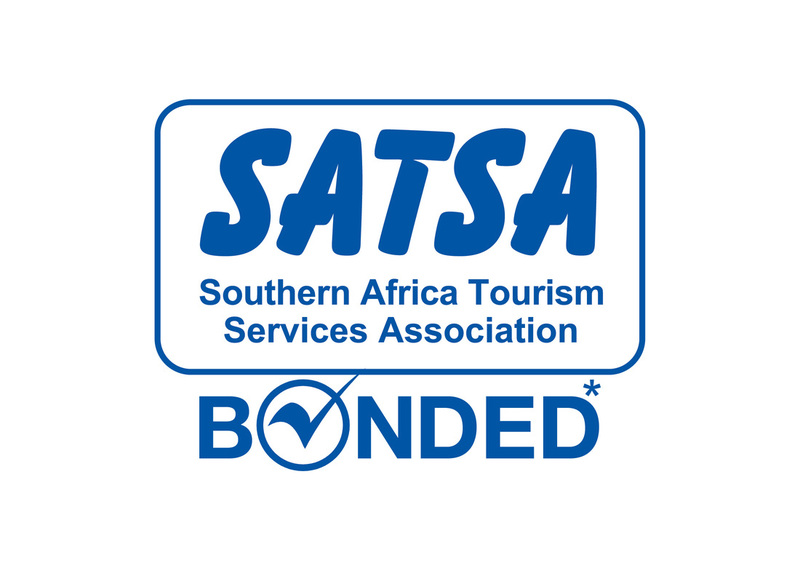 There are currently no direct services from the UK, Europe the USA to Botswana. Many international carriers operate daily services to Johannesburg and SA Airlink offers flights to Maun. Air Botswana also operates an extensive network of regional flights including the routes Johannesburg to Gaborone Kasane or Maun, gateway to the Okavango Delta, Harare to Gaborone or Victoria Falls to Maun. Air Namibia operates a service from Windhoek to Maun. In addition, the country can be reached by road from Namibia, Zimbabwe, Zambia or South Africa . There are luxury hotels in Gaborone and some excellent game lodges for safaris in the Okavango Delta, Chobe, Linyanti and Makgadikgadi Pans/Kalahari. Charter flights are a quick and convenient way of exploring the country, particularly if heading for the Delta. Tarred roads connect many of the main centres but a four-wheel drive vehicle is essential in the parks. There are three distinct seasons. The winter, when it is dry, lasts from May to August. Temperatures start to rise in September and reach their peak in December and January. The rainy season is from December until April. From October to March the temperatures can soar to 44C during midday and at night temperatures seldom fall below 25C. During the winter months the daytime temperatures are around 25C and can fall to 6C at night. 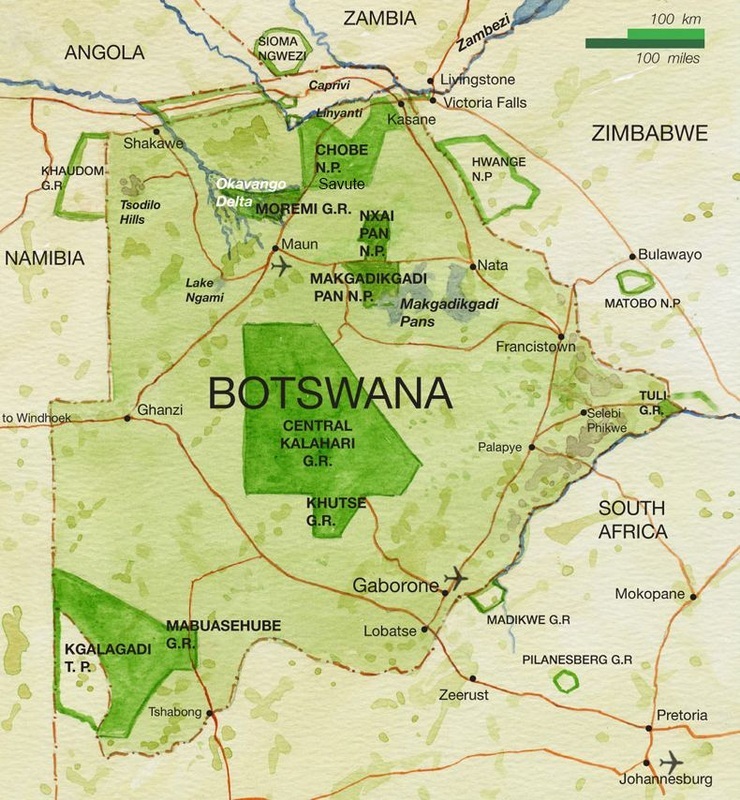 Currently, there are no compulsory vaccination requirements for entry into Botswana. Immunisation is however recommended against hepatitis A, polio, tetanus and typhoid. A risk of malaria exists from November to May/June in the northern regions of Boteti, Chobe, Ngamiland, Okavango, Tutume districts and sub-districts. There is also a risk of Rabies.